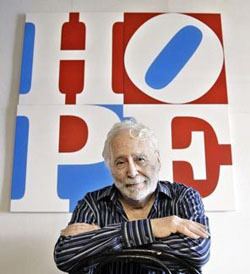 I am a Robert Indiana kind of believer in God (or a higher power or however you identify or not!). That means for me – and me only – god is love. I cannot handle anything more complicated. I gave up on organized religion when I was thirteen. It was before that but thirteen was my official and vocal ‘coming out’ as it were. The ‘take away’ for me was it was just something you do – no matter what. Really? Don’t over-think drinking the blood of Christ? Eating his flesh? That’s epic stuff. I think that should entail quite a bit of thinking. In fact, I would vote for over-thinking. We agreed they would not drag me by my hair down the aisle of the church to be Confirmed and I would contribute some time to the church other than attending services I found to be unacceptable. My job was to volunteer in the basement with the “retarded kids” while their parents attended the church service. It was a small group of children who had Down syndrome. One of the kids was not “a kid”. He was maybe twenty-five year’s old. His name was Monty. He wore a green suit – stripped tie, his shoes shined and his hair combed back. Dressed for church – just like my Dad and brother upstairs along with his parents – except he was in the basement with children who shouldn’t have been in the basement to begin with. To this day, I can very clearly see Monty. I see him in that awful place with that terrible man. I see that in spite of his circumstances he presented himself in a dignified manner. 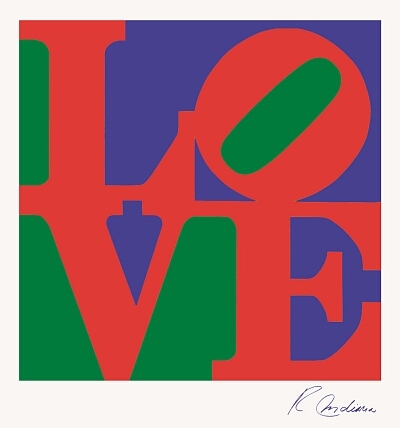 Robert Indiana’s re-do of LOVE as HOPE. Even as a teenager I was very much aware he was an adult. ‘god is love’ means you get to see god in other people. This entry was posted in Advocacy, By Notatypicalmom, Down syndrome, education, Inclusion, Parenting, Random life, Special Needs by Kari Wagner-Peck. Bookmark the permalink. Oh, Kari, I want to join your “church.” Love and Hope — what else could god be? As a believer in only the good in people and biology it can sometimes get a little tough, but then someone like you comes along and my faith is restored. Dignity is all I want most days. For me and for others. Great post!! !